Zionsville, IN – When is the Best Time to Sell Your Home? Spring is in the air and the 2016 real estate market is really beginning to ramp up. If you are looking to sell your Zionsville, IN home you are going to want to get the best price for your home and the quickest sale possible. Is there an optimal time during the year when your Zionsville, IN home will sell the fastest and for the best price? One group of researchers at Zillow says yes. After searching through sales of more than 20 million homes between 2008 and 2015, Zillow researchers concluded that listing time does indeed make a difference. Researchers found that “homes listed in the late spring (May 1 through May 15) sell around 18.5 days faster and for 1 percent more than the average listing.” Optimal times can vary by location but the Indianapolis area tends to follow the national average. Good advice to follow is that when the weather is mild and the flowers are blooming, it is an excellent time to sell. This is great news for Zionsville, IN home-sellers as May is just around the corner! We’d be happy to work with you to give you a comparative market analysis of your home and speak about timing your sale just right. 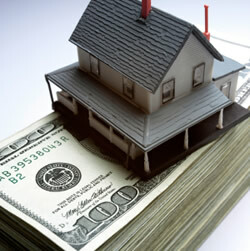 A Zionsville, IN real estate agent will have their finger on the pulse of the market and know the best way to proceed. Contact a Zionsville, IN real estate agent today! We hope to hear from you soon.